You know the funniest thing happened when I rescued my dog Vega from his previous owner. The man presented himself as an animal lover who had done everything he could to love and care for his dog, but Vega just stayed so sick and kept losing weight. The owner was pretty certain Vega could never be anything more. I must admit when I first saw him I almost agreed. It was in the almost that healing began. 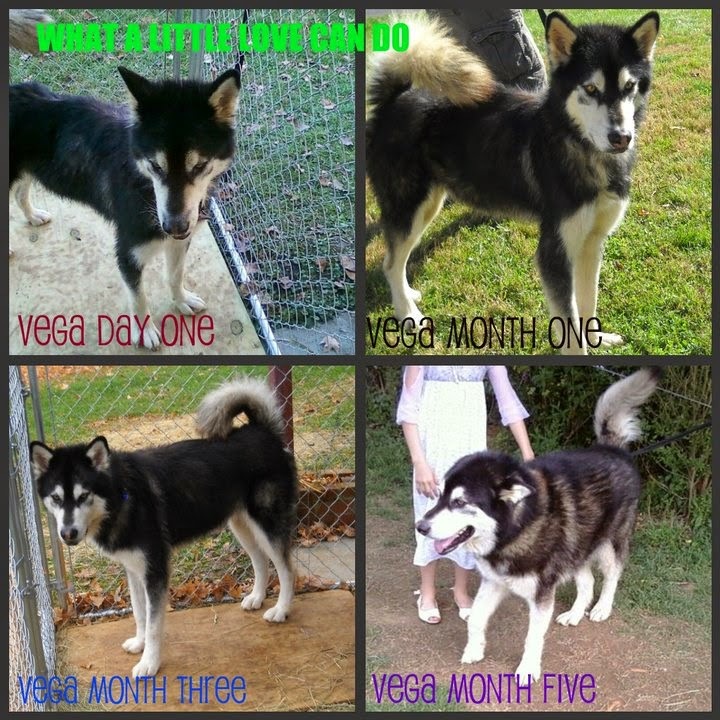 Within one week of being in my care and being fed on a regular basis, Vega gained twenty pounds. After five months of love and care he went from a 72 lb lethargic bag of bones to a 150 lb healthy, loving, and beautiful family friend. The truth of the matter was that there was nothing wrong with Vega at all. In his previous home his most basic needs were neglected so his appearance and demeanor were poor, it was not reflective of him but of his neglectful owner. Once he was loved, fed, and cared for properly he grew to be one of my most favorite animals.